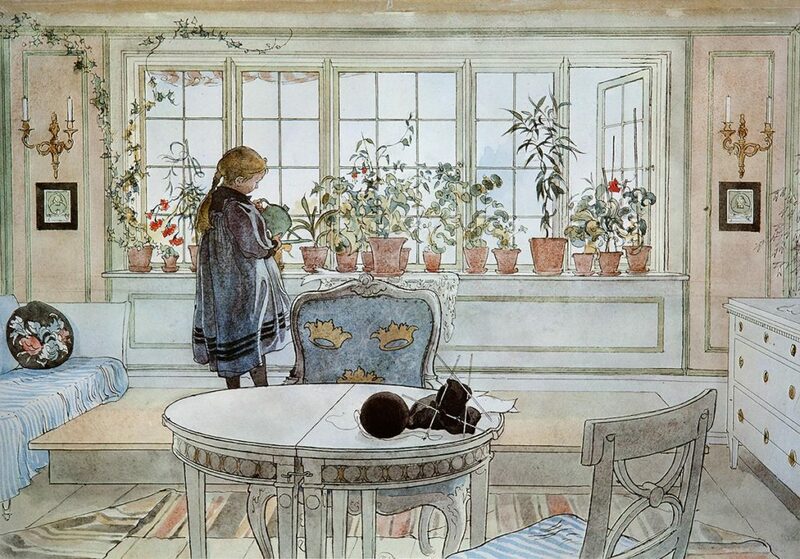 Carl Larsson was born in Gamla stan, the old quarter of Stockholm, on 28 May 1853. His family was poor and Carl grew up in dismal circumstances. The only glimmer of hope was his strong artistic talent, which emerged early on in his life. 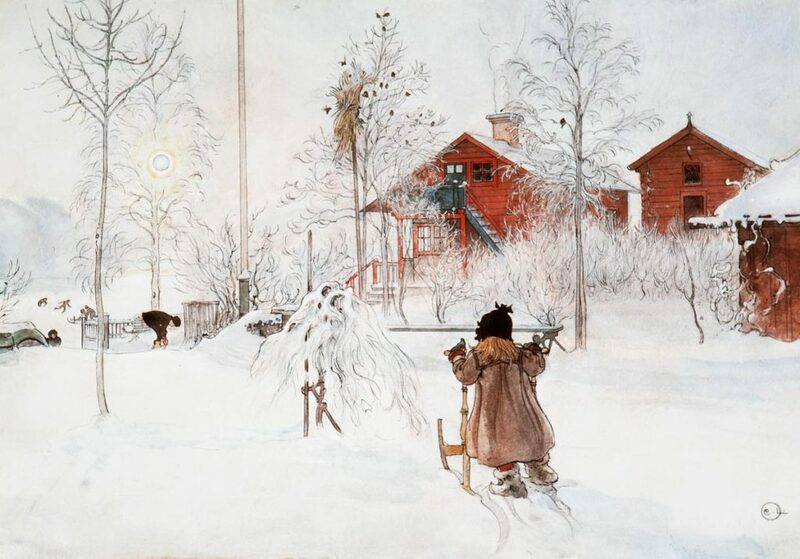 When he was thirteen years old his teacher at the school for the poor persuaded him to apply for a place at Principskolan, the preparatory department of the Art Academy. During the first years at Principskolan Carl found it difficult to settle in. His sense of social inferiority made him feel like an outsider. But that changed when, at the age of sixteen, he was moved up to the lowest department of the Art Academy. He began to feel more confident and it was not long before he became one of the central figures in student circles. 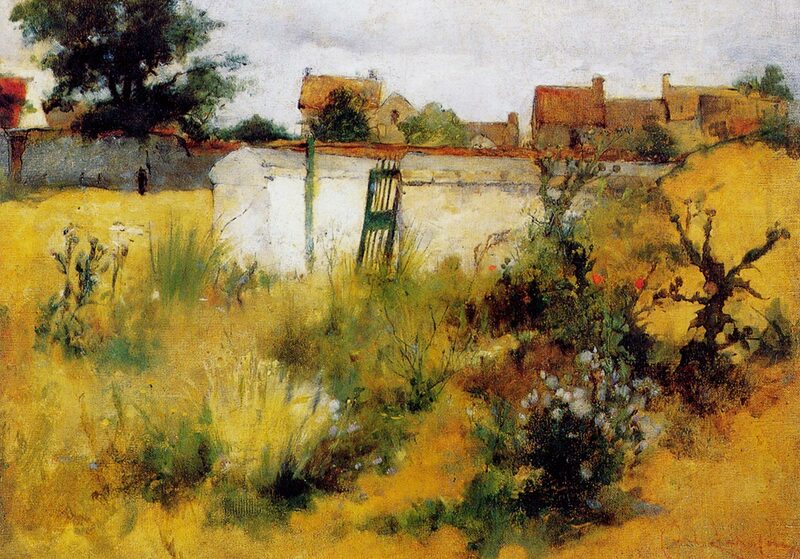 The turning point came in 1882 when he moved to the Scandinavian artists’ colony in Grez-zur-Loing outside Paris. It was there he met his future wife Karin Bergöö and underwent an artistic transformation after abandoning his pretentious oil painting in favour of watercolours – a lucky move that would mean a lot for his artistic development. 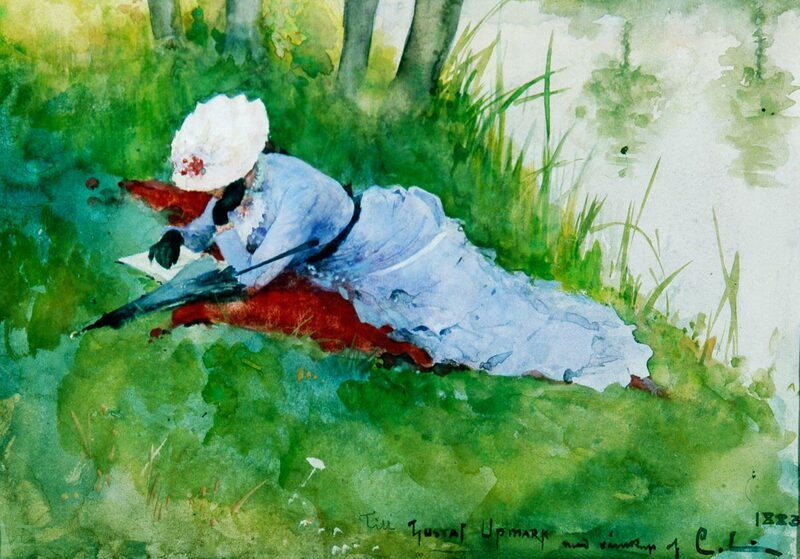 It was in Grez-zur-Loing that he painted some of his most significant pictures. It does not always happen that the view of the artist and the view of his public agree. 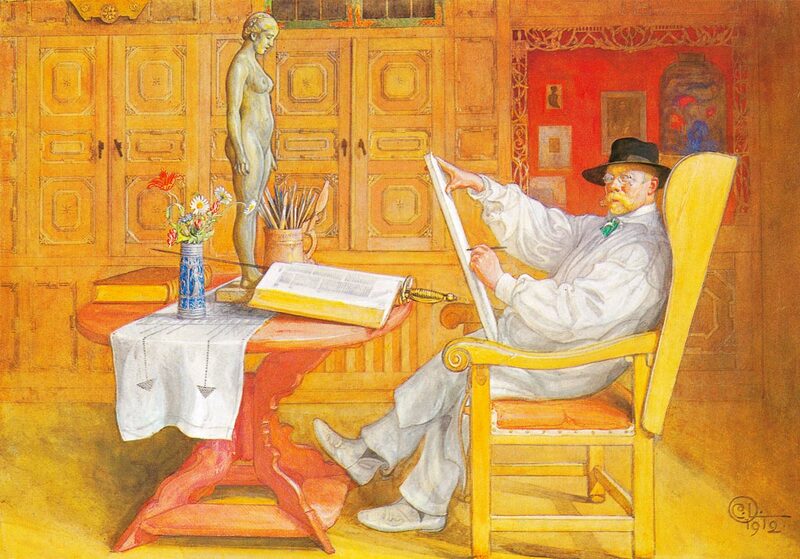 In spite of the huge popular success he achieved with his watercolours Carl nevertheless felt that his monumental work – the frescoes in schools, museums and other public buildings, etc. – was more significant. And we can only conclude that history proved him right in the end. 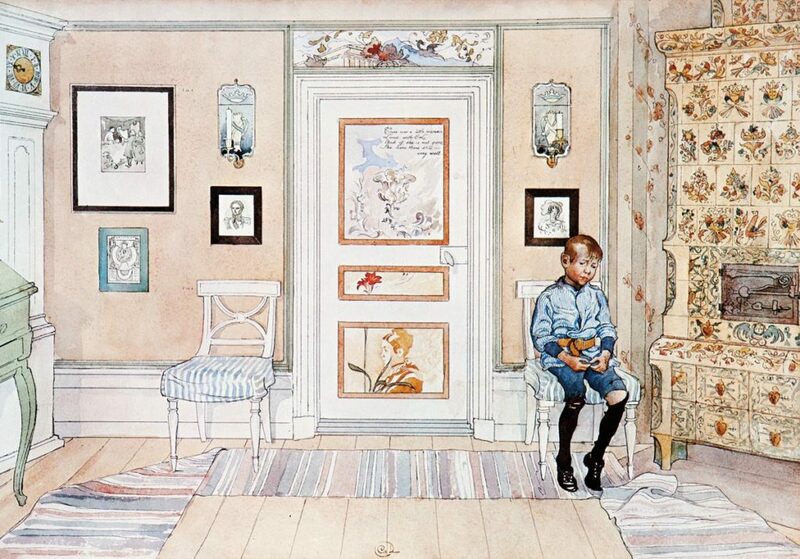 Following its sale to a Japanese buyer, Midvinterblot was returned to the National Museum for the Carl Larsson-exhibition in 1992. With help from generous private donors the National Museum repurchased the work from its Japanese owner in 1997. Now, at last, it hangs where it was intended to be and Carl can rest easy in the knowledge that Midvinterblot has finally found its way home. Born: 28 May 1853 in Stockholm. Education: School of Principles and Art Academy. Family: Married Karin Bergöö in 1883. 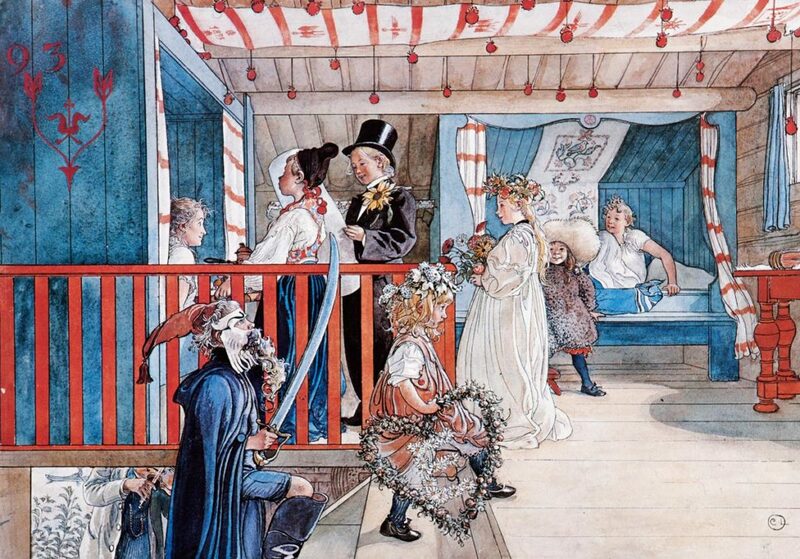 They had eight children (of which one, Mats, died at the age of two months in 1895): Suzanne 1884, Ulf 1887, Pontus 1888, Lisbeth 1891, Brita 1893, Kersti 1896 and Esbjörn 1900. 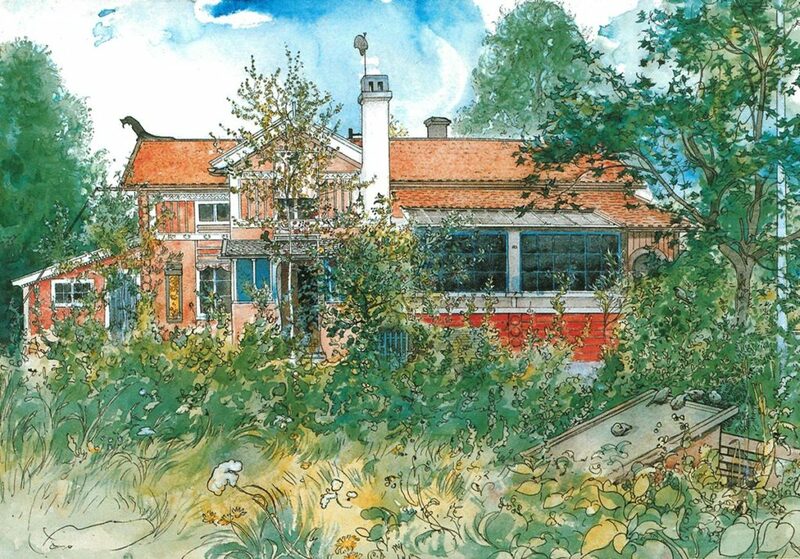 Important dates: In 1877 Carl travelled to Paris for the first time and in 1881 he joined the Scandinavian artists’ colony in Grèz-sur-Loing where he started painting in watercolours and met Karin. 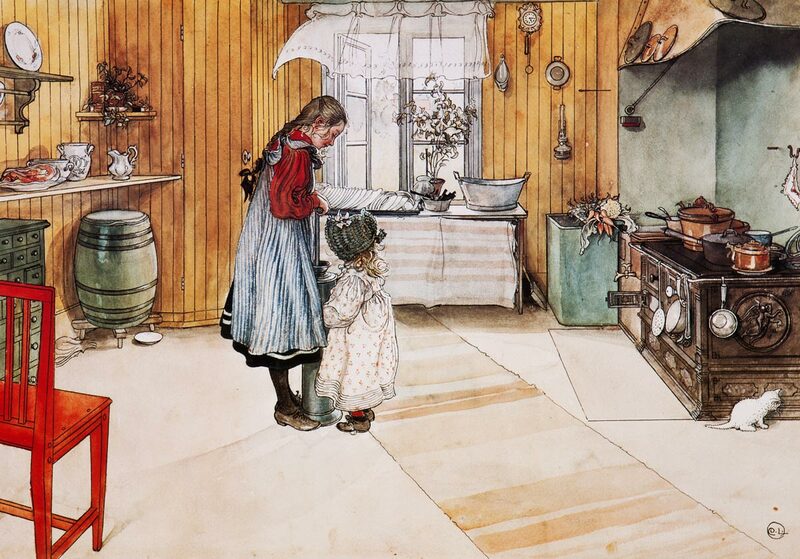 In 1888 Carl och Karin acquired Lilla Hyttnäs from Karin’s father. They moved there in 1891. The paintings of their home quickly became popular and reached a wide public. 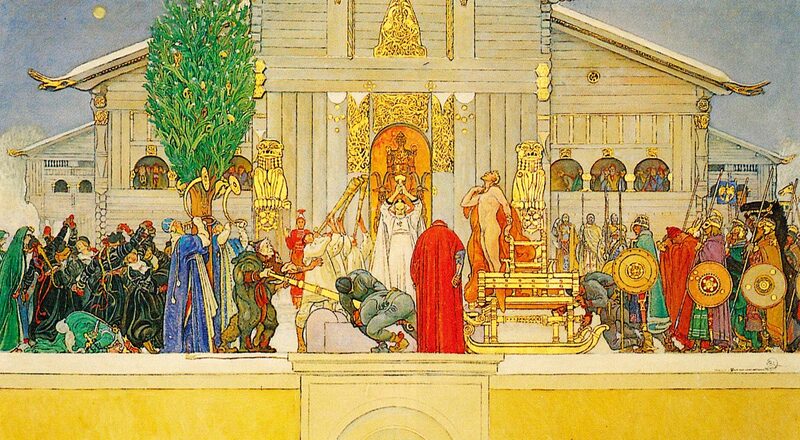 In 1896 Carl adorned the National Museum with large frescoes, but in 1911 his sketches for Midvinterblot were refused. Over eighty years later, in1992, Midvinterblot finally took its place in The National Museum. Died: 22 January 1919 in Falun.